Diviac's dive computer connector (DDCC) is here! With our new dive computer connector (DDCC) you can directly upload your logs from your dive computer into your diviac account, thereby speeding up you logging process and enriching your memories with an interactive dive profile, as well as precise temperature and air consumption information. 14 brands and more than 100 different models brands are supported (see full list). 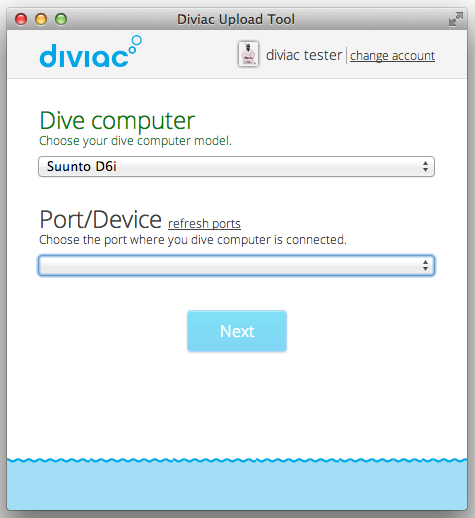 Sign into your account (www.diviac.com), download the DDCC for Mac or Windows from the "+add new dive" page and try it out today!